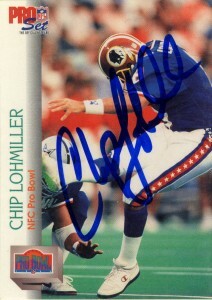 Minnesota Golden Gopher kicker Chip Lohmiller would be taken in the second round of the 1988 draft. The Redskins were in desperate shape to locate a kicker and hadn’t had consistency at the position since Matt Moseley left. 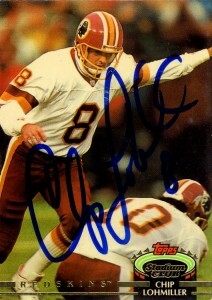 In fact the previous season 4 different players kicked extra points for the team during the 1987 season. 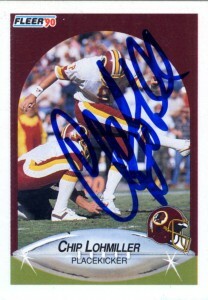 With Lohmiller the team immediately fixed their kicking problem, and in fact made a massive upgrade at the position. The Redskins were one of those teams that weren’t embarrassed to take field goals and in the competitive and defensive NFC East, it certainly did help to have an accurate kicker with a booming leg. 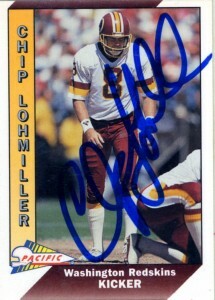 From 1989 -1992 Lohmiller would lead the league in field goal attempts making at least 40 attempts each season. 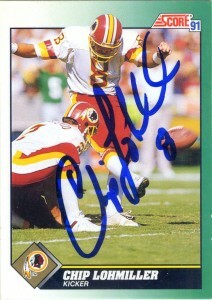 He’d also lead the league in 1991 and 1992 hitting 31 and 30 field goals respectively. In fact in 1991 his 143 points were more than the entire Indianapolis Colts squad put up combined. 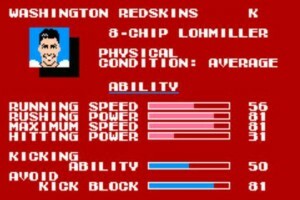 Lohmiller could have probably had a long career with the Redskins and it is assumed that the team which was hemorrhaging in the new age of the salary cap made the agonizing decision to let him go. 1995 would see a short season for the New Orleans Saints- and his 1996, which would be his final, Lohmiller would finish out his career with the St. Louis Rams. Since football Lohmiller has taken up coaching and is currently a highly regarded coach at the high school level. 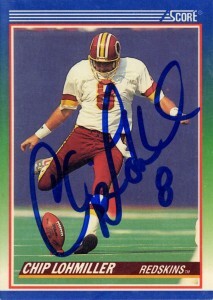 While at the CGA Youth Golf Tournament in 1993 he’d sign all the cards I provided for him. He apparently is a great golfer with at one point a -3 handicap.